Toy Tonics welcome a new name to their roster in the form of Visionquest and Crosstown Rebels producer David Pezzner. The American producer serves up originals aiming to excite knowing dancefloors in all the right ways. 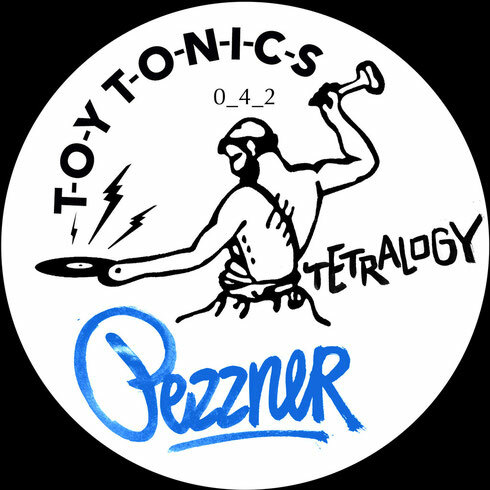 Before joining the German Toy Tonics crew, Seattle-based Pezzner has worked with an array of labels from the aforementioned Visionquest and Crosstown Rebels, to Freerange and Systematic Records. Opening is ‘Power Rockin 97x’ which has a rugged arpeggiated bassline riding and falling beneath louche organic percussion and heavily filtered vocals. It's a track that bubbles and simmers and holds your attention masterfully without ever blowing up. ‘Seventy Six’ is a more hot and steamy affair from the off, with libidinous female vocals and pressurised drums building the tension. ‘Eros’ tries another trick entirely, this time building a feel good deep house groove that is run through with a warm, fluttering synth hook, trilling and watery melodies and the distant sound of party atmospheres. Lastly, ‘Autosave My Love’ is intimate, jazzy and playful, with Metro Area style, off kilter drums and disco synths.